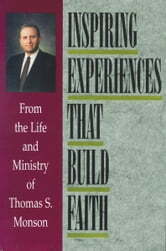 President Monson recalls tender and inspiring personal experiences that will build faith and testimony for every reader. 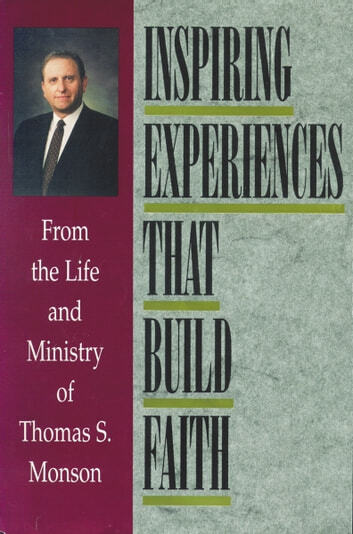 Taken from events throughout his life, these accounts are organized into sections: Service to others, Faith Precedes Blessings, Prayer Availeth Much, Missionary Moments, Testimony Teaches Truth, Example of the Believers, and On the LIghter Side. One experience tells of an elderly man in oppressed Hungary. He had collected his tithing for forty years until he met a patriarch who could deposit it for him. Also, the man had tried unsuccessfully for many years to get permission to leave Hungary to attend the temple. Following a special blessing, his passport was finally approved and this faithful man received the temple ordinances. This example and many others depict the happiness that comes from obedience to the teachings and commandments of Jesus Christ. Readers can find renewed strength in their testimonies through these faith-promoting experiences.